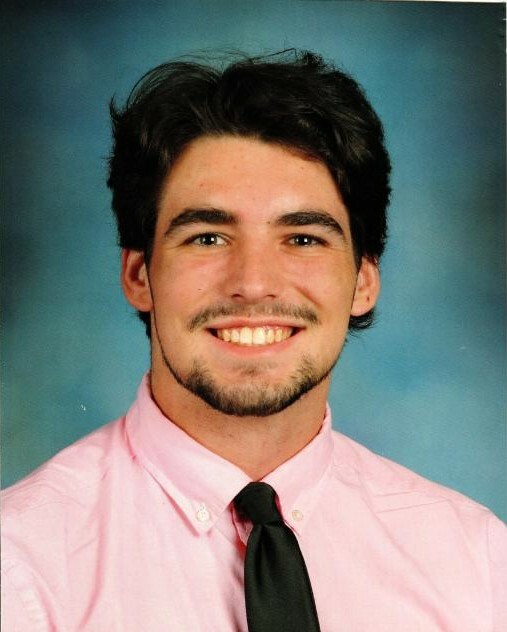 Our dear, sweet Joseph John “Jack” Kujawa II of Elm Grove, age 18, took his life Saturday October 27, 2018 after losing his long-term battle with depression. He was the beloved son of Joseph Ronald and Patricia, brother of Katharine and Benjamin. A beautiful young man, Jack had a special connection with everyone he knew. He made you feel special in a way that was so genuine. Jack always had limitless hugs, smiles, a sincere inquiry about your day, a funny meme or a ridiculous outfit—all intended to make his audience smile. Jack loved dressing up. It wasn’t unusual for him to show up at school in his Leprechaun suit, or appropriate attire, like his Green Power Ranger outfit, on certain movie opening days. Jack often wore his Spidey Suit to Elm Grove Park, or local restaurants to get a bite (and a few laughs). He realized his dream to wear a white tux to prom, as well as his perfect American Cowboy hat and shirt purchased in Nashville. He was a performer. Despite being tone deaf, Jack loved Karaoke and dancing. He once sang Aerosmith’s “Dream On” on a stage in Nashville. It was fun to see people’s reactions to his warped interpretation. His vocal stylings can be found on his Instagram account: jack_kujawa_sings. What he couldn’t do with his voice, he made up with his feet. He felt rhythm in every fiber of his body and could gather everyone’s attention whether on his own or with a partner. His positive energy was infectious. Jack had a deep love for comics and superheroes. At four years old, Jack proclaimed to be the real Batman. He morphed into a Superhero lexicon, knowing every nuance of every hero--Marvel, DC and more. To help him manage his depression, Jack leaned on each hero’s journey to become a better person—not just for himself, but for others as well. He also found strength in his faith in God. Jack served as a member of the God Squad at St. John Vianney, where he also taught Christian Formation and Confirmation. He was a Eucharistic Minister at his beloved Marquette University High School and was a member of Kairos 121, a special retreat for upperclassman. At Marquette, he created a fundraiser called “Bear Lives Matter,” hand-making hundreds of t-shirts with individual fun facts that created awareness for the eight endangered bear species globally. His family, friends and caregivers knew about Jack’s struggle with depression, but so many others only knew him as a bear-hugging, popular guy, and the joy and laughter he brought. His kindness to others and his desire to make people smile overshadowed the sadness and pain he seemed unable to dissolve in his life. Jack began his training to be a speaker for the National Alliance on Mental Illness only a few weeks ago. He wanted to help those facing the struggles he knew too well because he knew depression did not limit itself to just the lonely, often bullied outcasts in school. Visitation will be held from 3 pm to 7 pm on Thursday, November 1, 2018 at the Becker Ritter Funeral Home. Mass will be held at 10 am on Friday, November 2, 2018 at Church of the Gesu (1145 W Wisconsin Ave). A reception will follow. Private family burial to be held. Donations may be made in Jack’s name to Marquette University High School, National Alliance on Mental Illness Waukesha or to Bear Trust International.